BATMAN BY BOB KANE: Bob Kane original hand drawn sketch signed, 8 1/2″ x 11″ cardstock. 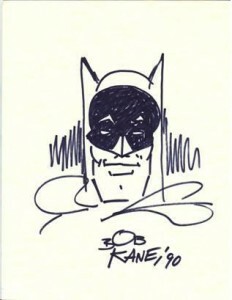 The sketch is approximately 8″ tall from top of the ears to the signature and 6 1/2″ wide. 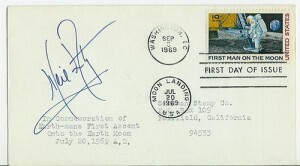 A beautiful and highly collectible 1969 First Day Cover signed by Astronaut Neil Armstrong!